Dr. Hammond was an excellent OBGYN doctor throughout my prenatal care. She answered every question I had as a first time mom, and never made me feel rushed or unimportant. She also helped me through a sudden c-section delivering my baby safely while helping to keep me calm and assured. I will be having her deliver my next baby as well and would highly recommend her! Dr. Hammond is an AMAZING OBGYN and we couldn’t be any happier with our choice to have Dr. Hammond deliver our daughter. We tell all of our friends/family that are looking for an OBGYN in Colorado Springs that they should go to Dr. Hammond! The staff is very friendly and VERY informative. They go WAY above and beyond for their patients. A BIG thank you to everyone at Colorado Obstetrics & Women’s Health!!!! Dr Leann Hammond is an amazing OBGYN and I tell my family she was heaven sent because she is so patient and full of love, you can tell she loves what she does, and she demonstrates it well in every visit. She is the only one I would recommend in the Colorado Springs area. She took such good care of me and my baby girl when she was born. All my appointments at her office where great and the staff always took really good care of me. It’s hard to describe just how amazing Dr. Hammond and her staff is! Its important to feel confident in your OBGYN doctor and for the first time I can say I truly am. This is my first pregnancy, and Dr. Hammond and her staff have been there for me every step of the way. Every question, every concern they and I had for my health was addressed and taken care of right away. She and her staff have a very motherly way about them, and its amazing! It shows how much they really care about their practice. I do plan on having other children and I will always come back to her, even for regular health check ups. Absolutely amazing, I recommend COOB to every woman in the Colorado Springs area! I have went through Dr. Hammond twice and both times were c-sections. I never felt like I was just another patient. She took time and listened to everything I was concerned about (considering my first delivery was a nightmare with a different doctor) and she even told me that I could meet the anesthesiologist before hand. It has been 2 years since my last child and every time I walk in the clinic, the staff and her know me and my children by name. I even drive 30 minutes north to see her. I would recommend her to anyone looking for an OBGYN in Colorado Springs. Dr. Hammond came highly recommended and did not disappoint. I had surgery and felt like she was very attentive and compassionate. I recovered very quickly with no complications. She explained everything in detail prior to the surgery and provided several different options. Her staff is just as caring and attentive. I also highly recommend Dr. Hammond as an OBGYN in Colorado Springs. Dr. Hammond and her staff are absolutely amazing and always make me feel like family when I’m in the office! Dr. Hammond helped me through the most difficult pregnancy and saved my precious baby girl! I’m so grateful to have found her practice eight years ago and have three beautiful children now all delivered by her! I highly recommend Colorado Obstetrics & Women’s Health for the best care! We absolutely love Dr. Hammond and her staff. They are very kind and knowledgeable. They really take the time to get to know you, but they are also respectful of your time and try to get you in and out in a reasonable amount of time. Dr. Hammond delivered both of my kids and I refer her to everyone I know who needs an OBGYN in the Colorado Springs area. They really listen to your concerns, calmed my fears and anxieties and stuck to my birth plan and I REALLY appreciate all that they have been to me and all that they have done for my family. Dr. Hammond and her staff are friendly and professional. They provide exceptional OBGYN care and always address any questions that I may have. I recently had a baby and was pleased with the labor and delivery experience. Dr. Hammond made this a positive, memorable experience. 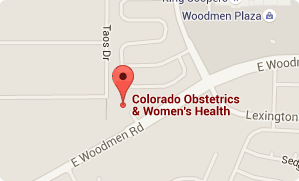 I would certainly recommend Colorado Obstetrics & Women’s Health to other women in Colorado Springs. I would highly recommend Dr. Hammond to anyone. I had an hysterectomy and she performed the procedure. Her bedside manner and follow ups were great, as were the staff at the office as well. I would definitely recommend this facility to all in Colorado Springs!